Testimonials for Kathy D Carter. "Kathy is a powerful healer. While she was a participant on one of my retreats, if anyone got stuck or needed assistance, I would just ask Kathy to take them into another room and work on them. The person would eventually walk out looking completely different. Kathy has a way of taking people into their shadows, places they wouldn't normally go, and assisting them in finally resolving those past wounds and traumas in a very short period of time. She is amazing." "When the student is ready Kathy appears...that was how I felt when Kathy came across my path. I have worked with many healers in my life, but Kathy is by far one of the most powerful. She has an ability to create the most safe and secure space to finally look at the darkness and the blocks you have acquired over your life. She allows you the power to finally face the fear and release it through her guidance and love. Her safe energy and light gives you the strength to look within your heart and release your wounds. She allows you to dive into it and LET IT GO as she guides you to your healing. The release is profound. The feeling of lightness overcomes you even though you know intellectually she has just walked you through what seemed like the scariest and heaviest place you could imagine - the places within you have avoided all of your life. In short, she is incredibly powerful. Her insight gives you a totally new perspective on your life, and your current situations, making her seem like someone who has known you from birth even after only a few minutes. However, you quickly learn it is her immensely powerful intuitive and energetic gift at work allowing you to clear those stuck places and in turn giving you a fresh outlook on life. She gives you the clarity to see and own your power. I am grateful beyond belief I had the opportunity to work with someone of the caliber of Kathy Carter!" "I have assured confidence and 100% percent Faith in Kathy Carter’s ability to heal at the Soul Level. Her technique to unlock frozen emotion, buried deep inside is her forte’. Kathy approaches you with kindness, caring and most of all a knowing from having been in the midst of trauma herself. There is no better healer than one who has already experienced the wounds and did the work to heal them. Kathy has a personal road map to help guide her clients in every stage of recovery. She assisted me in identifying and releasing old mental patterns that held me back from success and growth in my life. I am grateful for Kathy Carter…much Love!" "Firstly, just being within Kathy's presence without saying anything, is alone enough to somehow automatically start the process of realignment, retuning and centering oneself into state of tenacious resiliency, self-empowering latitude and inspiration for pinnacle aspirations. There are only a handful of people I've met in my life that have this subtle, non-verbal finesse and power to move you in a positive and lasting way... without you even knowing it's happening. Also, I cherish, savor and fond her friendly and understanding nature... drizzled with passion that washes upon you with the most delicate, nurturing and healing elixir... amidst her captivating and hypnotizing story-telling ability... I adore her! " "I worked with Kathy for several months starting last summer. It was a life changing decision for me. With her help I was able to let go of so many negative patterns that I feel like a new person. The emotional pain that I felt most of the time has dissipated and there is so much joy in its place. My business is flourishing and I found an amazing loving partner. "Kathy is a beautiful soul and a powerful healer. As someone who practices energy healing, I was discerning about who I would go to to help me with some blocks that had been holding me back for a very long time. Kathy has a unique and intuitive ability to peel past the surface layers and look deep inside into the places that many of us are unwilling to acknowledge. She helps you get past the fear of going into the darker parts of yourself, so that they do not have to hold you back anymore. She was able to uncover for me areas that I was completely oblivious about. For anyone seeking to be clearer and lighter, but has not been able to get there, Kathy is your answer! Be prepared to journey within to release the emotions and the darker parts of you, so that you can be more light and step into who you really are. I am blessed to have experienced Kathy and her gifts! I recommend her highly!" "Kathy is the real-deal. She has helped members of my family and some of my friends, in deep and profound ways. The information she receives is often life-changing!" “I recently moved to Texas from California. Everything in my life was changing and I felt very lost. I couldn't have met Kathy at a better time! I did her 12 week Soul Finder Program. Every time I spoke about my issues out loud, I realized how much my fear was keeping me stuck. Kathy helped me to see new possibilities. I really enjoyed our table healing sessions, too. She helped me with my anxiety and as the weeks went on, I felt more calm, centered, and reconnected. "Kathy held my hands during the entire time and never let go, even though I was resisting, she held on with me and for me. I would just say whatever came into my thoughts, regardless of what they were, and Kathy would know which thoughts were relevant to the situation we were trying to overcome. Kathy would then continue down the path and unearth many layers of "stuff". When I say stuff, I mean everything & anything that I thought was long gone but clearly wasn't because it came up and Kathy helped pull it out for good. During my time with Kathy, even though I thought I was done and I had brought up and released all I could on what we were working on, Kathy instinctively knew there was more to go, deeper layers to uncover and release. She just kept saying, C'mon keep going... What about _______ - she would then mention a specific detail that would allow me to go further and peel back more layers. Even though I wanted to give up, she wouldn't give up on me. When Kathy would say "I know" after you told her a hurtful detail, you knew she totally knew and got it, she was able to empathize with everything you told her. Not only was Kathy able to pull out & help me release countless things, people and experiences, she gave me an "action" to do. An action being something I had to physically do, in order to not only get past what was holding me back but the action physically, mentally, emotionally and spiritually replaced the old/wounded/hurtful memory with a new/healthy/empowering memory. So to sum it up the best I can, Kathy helped me to open up, peel back layers, release the "dark" and replace it with "Light". All the while trusting her implicitly and feeling lighter, more at ease with my own authentic self and truly feeling more empowered than ever before." Over about four months, Kathy worked with me to allow some repressed memories, of events that were quite traumatic for me, to some up as gently as possible. I believe that in doing that we found a main source of my lack of overall calmness. Kathy supported me to work through the traumas I’d experienced and helped me understand how to process them well—by feeling and by letting myself heal. I am much calmer now than when I started working with Kathy. A quite surprising difference. I’m enjoying this new calmness; it is so different that it took a couple of weeks to get used to! Working with Kathy, I also began to shift some slice-in-time memories that had gotten “stuck,” or rather I believe I’d gotten stuck in them. The memories started to be more than just that one moment in time. I began to see what happened next and allow the memory, and my reaction to it, to change and heal. The memories stopped replaying the same scenes over and over, and sometimes I’d see the experience with a different viewpoint. Seriously helpful. Thank you so much, Kathy, for working with me in a professional and caring manner. Your skills are great and I am so glad you are using them this way! I have had the best Thanksgiving that I've had in the last nine years! Yesterday’s session was more rejuvenating than spending a week on a Caribbean beach. When I got home I found myself deep breathing from my belly … naturally. I haven’t been this relaxed and optimistic about my future in decades! I have deep gratitude for your gifts Kathy! "I had the honor to met Kathy, and have her work with me while on a retreat in Maui. I was having some difficulty working with some deeper aspects of myself. I placed a verbal request to our group, "if anyone or someone can see or feel something in me, please bring it into my awareness." I had skillfully created to keep myself in a place, one which believed was safe; it was nothing more than a smoke screen that created confusion and a diversion off myself and the topic. I had started this at a very young age, perfected this skill and became a professional at it. Because of Kathy's compassionate and caring demeanor, I was able to receive what she had to say, rather than shut down, feel ashamed or embarrassed - things that I have done in my past. I was able to view these darker parts of myself with kindness. Having this new awareness, I am able to see this pattern more clearly. Moving forward, I currently have conversations with others in a brand new way. Now, if I divert from a question in a conversation it is done with awareness and intent, rather than feeling that I am being interrogated and needing to protect myself by putting a smoke screen. Thank you Kathy for being passionate about your work and stepping forward to assist me with your beautiful gift. I am grateful! Much love and many blessings to you!" "Before coming to Kathy I was really struggling. Life was much harder than it needed to be. But with Kathy's guidance and healing energy I have transformed myself into a much more peaceful person. I needed to find the inner peace and meaning I craved. I can't imagine not having Kathy to help me on my journey. Her wisdom, insight and unconditional acceptance are invaluable to me!" "Kathy came into my life at a time I needed to make big changes. She has helped guide me, support me and shown me how to make positive changes to improve my life. She doesn't judge you, she accepts you for who you are and has your best interests at heart." "I was in a state of depression and sadness so deep I was hopeless. instead of falling into a pit of despair. I now have clarity in my life. I am no longer afraid of the unknown. It becomes less WORK for me to be ok and happy. It just happens now because of all the work we have done. My mind, body and soul are actually working together." "In working with Kathy, she has taught me to be kinder to myself and to love myself. That may not sound significant to some people; but it has been a huge life changer for me. Love and light to you, my sister! The "Heal Me" class helped me to understand how we store emotion from the time we are born in order to survive. We then carry that damage as heavy baggage into our adult life. This drains our energy and we can become stuck, depressed, anxious and sick because we never truly ""felt" our emotions and released them. The healing that Kathy teaches has given me hope and tools I need to love myself, feel, heal and release stored emotions and discover who I really came here to be." Love and light to you, my sister!" "Kathy, you have been an anchor for me all day! I left last night feeling the most optimistic that I have in quite some time. I did the 60 minutes last night before going to sleep and then again this morning coz I work up in a panic. Then I read most of the Non-Judgmental chapter. For lunch I took another hour outside by the pool - note to self: do Kathy’s routine weekly outside!!! Thank you for coming into my life. Your love, light and laughter is most needed in the world." "My 16 year old daughter saw Kathy several weeks ago. Kathy knew almost nothing about Kim but immediately picked up that she’d always felt different and was beating to that different drum and the many struggles that accompany that path. Kathy then told Kim that she came here to be different, to accomplish something very special and that in order to do this she must stop trying to fit into that typical spot, honor her differences, listen to her intuition and learn to trust herself. The experience was profound for my daughter. She sobbed all the way home and kept thanking me for taking her. She just kept telling me how relieved she felt. Since that day Kim has been much more confident and just continues to bloom! The 45 minutes she spent with Kathy were pivotal!" "I have known Kathy for two years and she is not only one of the most gifted healers but incredibly open and involved in assisting an individual into an incredible state of relaxation. She is intuitive, kind, and caring. I have visited her many times to be balanced and brought into a state of harmony. In addition to her tremendous work as a healer Kathy also reads cards. Accurate and insightful with what specifically is happening in my world. She comes highly recommended by me." 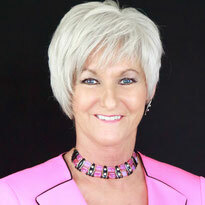 "Kathy's compassion, wisdom and intuition will help you break through into your full potential. Her natural healing abilities will transform your life in powerful ways!" "Kathy's unique and whimsical insight is from her own life experiences and natural gift, not from a book. She has the ability to see all ends of the spectrum of spirit. She is the real deal, down to earth, and has an enormous capacity to love. I am proud to call her my colleague and friend." "Kathy is an incredible healer and she's helped me so much in the time that I've been with her! She helps you with anything you need and she makes you feel so comfortable and she's truly the best there is!" Please join my mailing list for newsletter, tips & more!! !